As the pace of change rapidly progresses, and we are exponentially bombarded with commercial messages, the distinguishing value of a strong brand increases. When the Warwick Fiji Resort & Spa embarked on a complete makeover of the property they looked both offshore and in Fiji for someone to create a unique, relevant and appealing face. One which could be used across all hotel collateral and corporate communications to distinguish them from the crowd. Our initial brief was to create a personality for the property in keeping with their vision for the future of this grand, but older, property. We identified a platform of “understated elegance” as appropriate and applied this to a new logo, colour scheme and font usage. A comprehensive in-room directory (compendium) was created from which most of the other collateral flowed – brochures, fact sheets, advertising, posters and expo displays. This style was also translated into corporate presentations, websites and mobile applications. I have no hesitation in recommending Webmedia Fiji to any company or organization that requires the delivery of exceptional communications to international standards. Some would wonder why a company as large as Punjas, with their own “in-house” marketing and design team, would use an outside creative source like us. The answer is simple – we deliver. Consistently. They understand they don’t have our experience and expertise on the big projects to create concepts, that work, and follow them through into final production with an end result that will stack up in any market. Over the past two years we have written and produced over 9 television commercials, 6 billboards, 4 websites, 3 corporate videos and numerous packaging and promo concepts for this client. 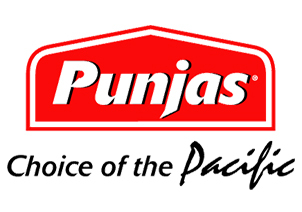 Products worked on have been the new Punjas Biscuits, Savante Wraps, Naturally Fiji, Bodyguard Bar Soaps and Shower Gel, Pearl Radiance Beauty Soaps and Coral Laundry Detergent for Ocean Soaps.